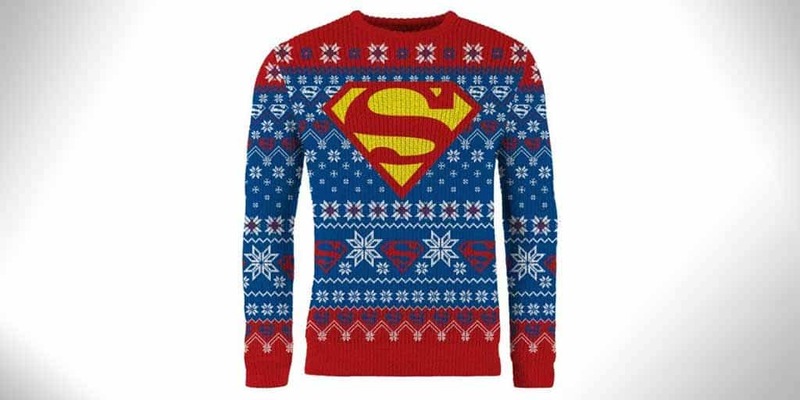 Kryptonian Superman Christmas Sweater | Nerd Much? We’ve already seen some fantastic new nerdy Christmas sweaters this year, and some of those were from Merchoid. Now, they’ve introduced two new additions to their line: a Kryptonian Superman Christmas Sweater and a Batman sweater. We’re going to get to the Batman sweater over the weekend, probably, but for now, we’re going to focus on the Superman one. First, and foremost, it’s officially licensed DC merch, so you don’t have to worry about it being shoddy quality. The Superman sweater features the iconic Superman shield in red and yellow right on the chest, set with a Superman blue background with red and white accents. In typical ugly holiday sweater fashion, it features snowflakes, and there are also various red Superman logos on it as well. The top of the sweater has an almost cape-like design. Of course, we can think of numerous scenarios in which we would need a sweater like this. For one, if we were ever to venture into the Fortress of Solitude (for obvious reasons). Secondly, eating the Superman ice cream from Baskin Robbins. With this warm jumper on, you won’t have to worry about being cold. 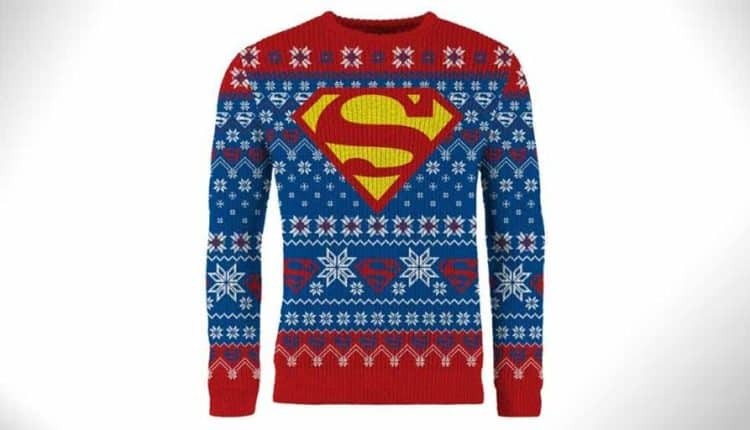 The Superman Christmas sweater is available for per-order now over at Merchoid, and it’s expected to ship in November. There’s also the Merchoid guarantee which states that you have 100 days to return the item if you end up hating it, so you can be confident that you’re getting something you’ll love. Stay tuned to Nerdmuch.com for more cool nerdy Christmas stuff, as we’ll be featuring many over the next couple of months.